Microsoft will be making the Update -- formerly known by those of us who've been tracking it for a while now as "Update 1" and/or "Spring Update" -- available via Windows Update. The Update, designed primarily to make Windows 8 more palatable for mouse/keyboard users, will be designated as an "Important" security update when it's rolled out tomorrow. It's actually very important, as Microsoft is going to require all Windows 8.1 users to have Windows 8.1 Update installed if they plan to continue to download any security or feature updates to the operating system. "Failure to install this (Windows 8.1) Update will prevent Windows Update from patching your system with any future updates starting with Updates released in May 2014 (get busy!)" A Microsoft Springboard Series blog post from April 2 also emphasizes that Windows 8.1 users need to move to Update to continue getting patches. This requirement does not apply to Windows 8 users who have not upgraded already to Windows 8.1, confirmed Mark Morowczynski, a Microsoft Premier Field Engineer. Windows 8 will remain supported by Microsoft until January 12, 2016, according to its lifecycle page. The Windows 8.1 Update is cumulative and includes all previously released security and non-security updates. It also requires users be running Windows 8.1 as a prerequisite, so those still running plain-old Windows 8 need to do a two-step upgrade, the Premier Field Engineering folks note. 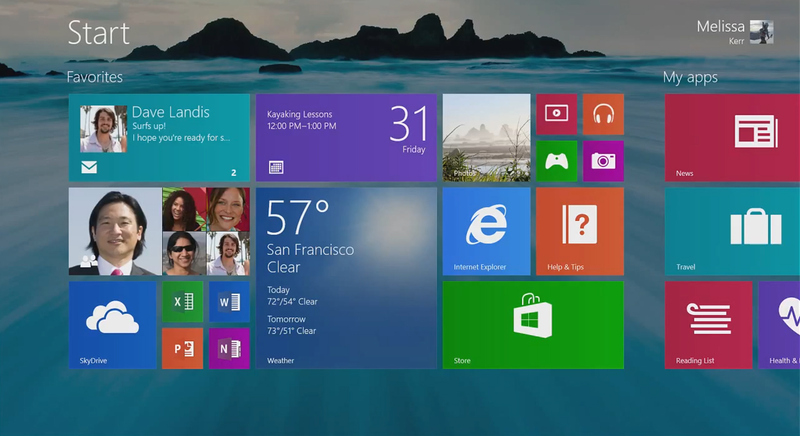 Microsoft made Windows 8.1 Update available on April 2 to its MSDN/TechNet subscribers. I installed those bits, courtesy of Microsoft, and am a lot happier with Windows 8.1 as a result. I use the mouse a lot, even with touch devices. I found the Update makes moving between the Metro-Style/"Modern" and Desktop environments somewhat less jarring. As the Ask Premier Field Engineering blog notes, Windows 8.1 Update "will likely change your system's current behavior." Those using devices other than pure touch tablets will see their systems boot to Desktop by default, though users can change this setting and still boot straight to the Metro-Style/Start Menu if they prefer. The Start Menu and windowed Metro-Style apps that Microsoft officials acknowledged were coming are NOT part of this Update. The Windows 8.1 Update actually consists of several individual updates. The prerequisite for all of these is KB2919442, which Microsoft distributed in March. Windows 8.1 media/WIMs/TechNet ISOs/Store bits will be slipstreamed with this Update "in the near term," according to the blog post. That date looks like April 14 for volume licensees, based on last week's Springboard blog post. By the way, it's not just Windows client getting this update; server is getting it, as well. Windows Server 2012 R2 Update. Microsoft began rolling this server-side update out to TechNet/MSDN subscribers on April 2. The Windows Server version of the update includes all the previously-released monthly roll-ups, updates and security fixes since RTM; various bug fixes; Enterprise Mode for Internet Explorer (also included in Windows 8.1 Update) and more. Windows Server 2012 R2 users also need to apply this Update if they want continued patches and fixes delivered to them.